The first-ever Hay House World Summit is a little over a week away! Soon you will be able to enjoy a full 10 days of inspirational conversations, useful advice, and liberating exercises – but what if you just can’t wait until June 1st? Not to worry, 20 sneak-peek audio clips of World Summit interviews have just been released. That’s an hour of audio for you to enjoy right now! Listen in as best-selling authors including Louise Hay, Dr. Wayne Dyer, Esther Hicks, Deepak Chopra, and don Miguel Ruiz, share their wisdom in passionate conversations. These are just a few of the sound-bites available to you now! Check out the entire list of clips to whet your appetite for topics ranging from health and nutrition to psychic abilities, inspiration and empowerment. 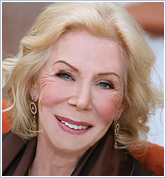 Curious about what subjects come to light when Louise Hay and Reid Tracy sit down to chat? Take a quick listen to this audio clip to hear Louise delve into the complicated subject of forgiveness, and how she arrived at this freeing concept in her own life. Hay House is proud to introduce the first-ever Global Online World Summit – available in 3 languages: English, German, and Spanish! 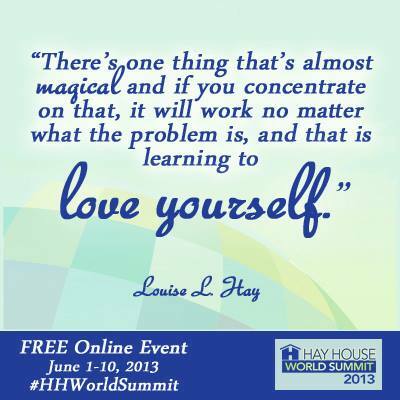 The Hay House World Summit, premiering June 1-10, 2013 , will offer free access to more than 100 hours of enriching and life-changing conversations with your favorite teachers on our website. This extraordinary event brings together world-renowned experts and tomorrow’s rising stars, for exclusive conversations on a wide range of topics–providing insight and practical advice–sure to appeal to all of our listeners. 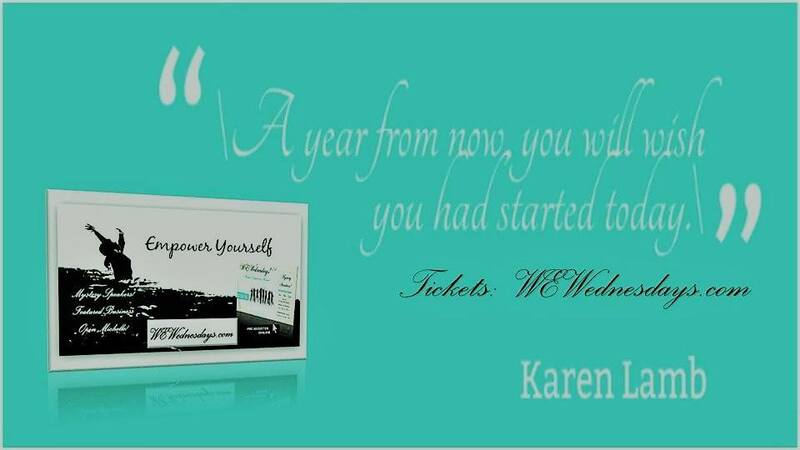 We hope that you will join us for this entertaining and educational experience. During these enlightening, never-before-heard interviews, you’ll have the opportunity to listen to your favorite authors share their personal moments of transformation. You’ll also discover new voices in today’s generation of spiritual teachers and learn how all these inspiring leaders apply their expertise to their own lives. This rare and original content—more than 100 hours of interviews—will all be available at no cost, as streaming audio, on the Hay House World Summit website. As a registered guest for this free 10-day online event, you can enjoy at least 10 new conversations by today’s top authors each day! Register now and you will immediately receive six bonus videos giving you 10-minute previews of candid conversations between Hay House President Reid Tracy and these amazing teachers: Louise Hay, Wayne Dyer, Esther Hicks, Suze Orman, Cheryl Richardson, and Doreen Virtue. 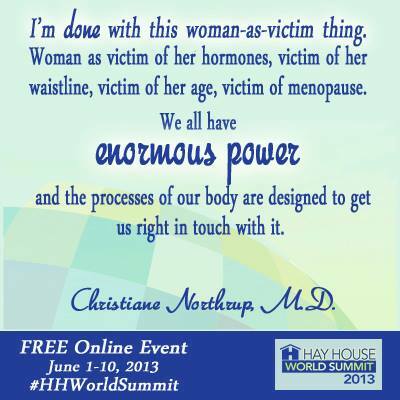 The Hay House World Summit! If you like what you hear, remember to register for the Hay House World Summit and listen to these interviews and more in their entirety! The Hay House World Summit will bring together 110 hour-long conversations with world-renowned experts from the personal-growth field to share with you the practical, applicable ways in which they incorporate their teachings in their own lives . . . and how you can do the same! Join us from June 1st to 10th to listen to all of these intimate conversations for FREE. It takes place right in front of your computer or mobile device, click here for the full lineup. This free 10-day online event begins June 1st. During each day of the Summit, 10 or more interviews will be made available to you. Listen anytime for a 24-hour period beginning at 11 AM Eastern (8 AM Pacific). Be a part of the Hay House World Summit today and let these healing conversations with your favorite authors help you live your best life!